So, I must start by saying it has been a big week in our house. Quinn has started walking and he is into every cupboard, every drawer and every shelf he can reach. I'm running around like a crazy person trying to catch up with him! I have uploaded a new video of his wobble to the Finnster page. Scroll down and check it out. It's adorable! For years, I didn't eat eggs. It was not just a mild aversion. I hated them. I wouldn't touch them with a ten foot pole and I finally figured out why. The reason was really two fold. First, they were often overcooked resulting in a rubbery texture. My husband does two things perfectly in the kitchen. He washes dishes and cleans up faster than I can sink into the couch and find something on T.V. He also makes the meanest NOT OVERDONE scrambled eggs (see his recipe below for his perfect every time tricks). Second, I didn't branch out! When I started adding avocado to my perfectly cooked eggs, it was as if I discovered a whole new food group and couldn't help myself from experimenting. 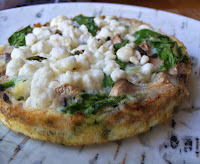 I ate eggs three meals a day for almost two weeks! Eggs are not just for breakfast. Make 'em for lunch and dinner! Don't overcook them. I can't say that enough. Don't overcook them! Remove them from the heat just before you think they are done and your eggs will be perfect every time. Dump the ketchup and get think outside the box. 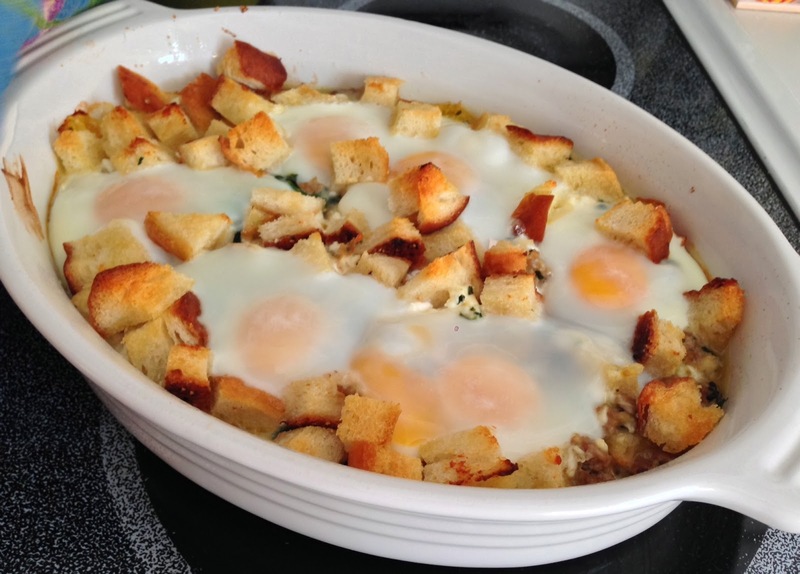 By adding different ingredients to your eggs, you'll start to appreciate them even more! A couple of my favorites are goat cheese, salsa, avocado, chicken and spinach. I even had it on pizza here in Philly! Don't forget the salt and pepper! They will only enhance the flavor and texture. 1. 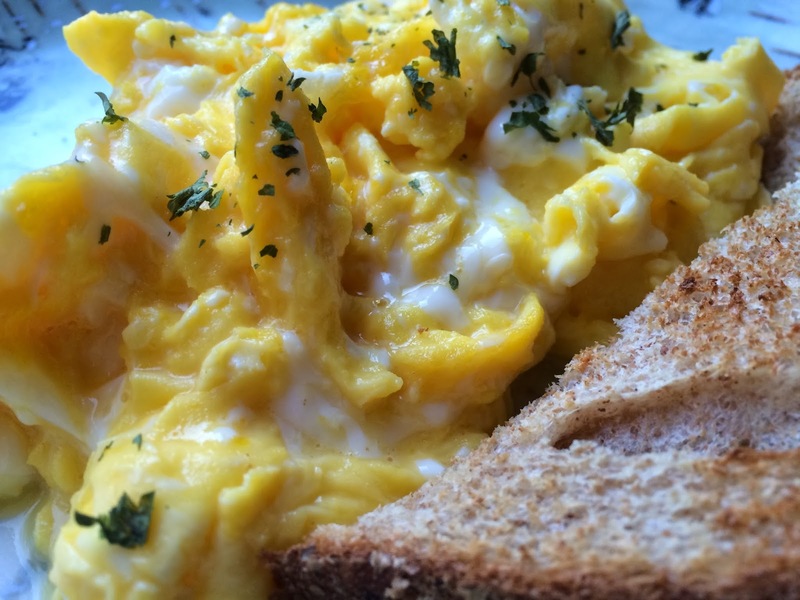 Perfect Scrambled Eggs: I cannot take any credit for this recipe. In fact, in our house, I have never once made scrambled eggs. My husband cooks them perfectly every time. He knows just how long to leave them in the skillet so they aren't runny but also aren't over cooked. If you follow his instructions, you will forever be disappointed with eggs at your local breakfast joint! I just get pancakes now. That's a whole other story. 2. 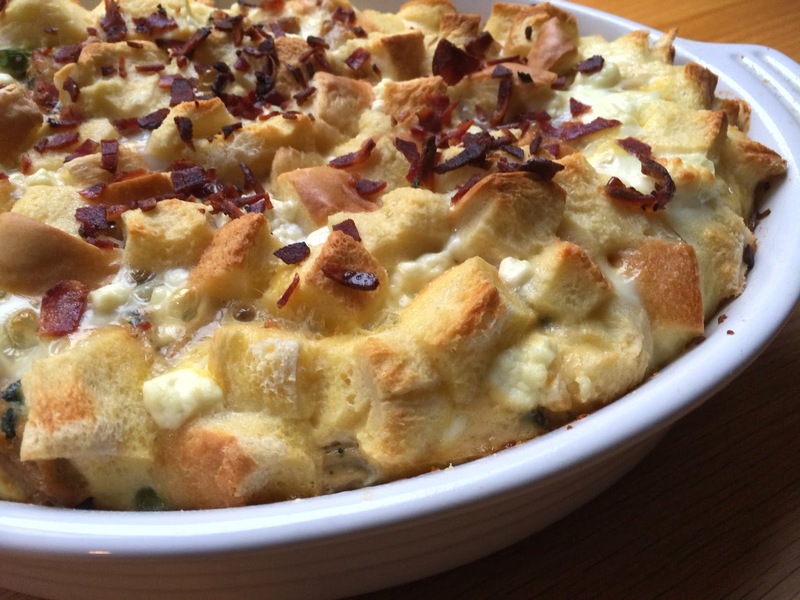 Sausage and Goat Cheese Strata: This recipe is TO DIE FOR. You will be missing out on an integral part of life if you choose not to make this recipe! We had it for dinner a couple nights ago. It was the perfect combination of creamy, gooey and cheesy on the inside with crunchy and crispy on top. 3. Avocado Fried Egg: This twist on the classic egg-in-a-hole makes me a believer that avocado is absolutely delish when warm! Furthermore, eggs don't get much cuter than when they are tucked inside an avocado! 4. 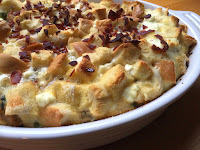 Cheesy Sausage and Spinach Egg Bake: Spinach is another one of those ingredients that I HATED as a kid. But now that I know how to enhance it's flavor, its become a staple in our diets. I made this dish when my brother came for brunch. Everyone raved about it. 5. Quick and Healthy Huevos Rancheros: My spin on huevos rancheros includes a crispy tortilla base layered with a fried egg, cheese, salsa, avocado and fresh chopped cilantro. This dish transported me back six years to my five star Mexican honeymoon resort. I imagined a warm ocean breeze while enjoying room service, sitting on the veranda overlooking the ocean. The 30 degree Connecticut weather is a far cry from that, but hey, a girl can dream. And it was SO easy to make. 6. 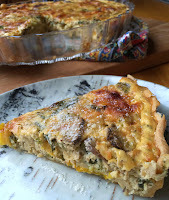 Buttermilk Quiche: Quiche was one of the meals that I remember from my childhood. They are not good memories. I had to force it down my throat covered in ketchup. BUT, not this recipe! 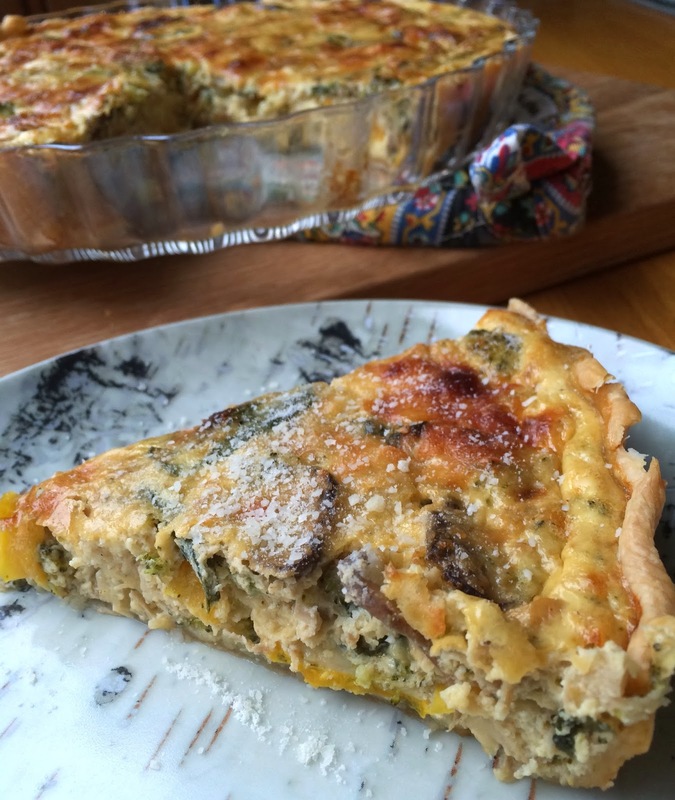 The combination of the three cheeses, the meat and the buttermilk make this quiche stand out from the crowd. 7. Healthy Egg Cups: Again, I can't take credit for this recipe. Vanessa, one of my best college buddies, loves healthy cooking and cuisine just as much as I do. But, she has a crazy insane job and works about a million hours a week! To fulfill her inner foodie, but also keep it quick and healthy, she makes these egg cups at the beginning of the week and freezes them. She takes a couple to work each day for breakfast. Love you V-Diddy! 8. Easy Egg White Frittata: When I was trying to lose weight after having my son, I was hunting for low-calorie, high-flavor recipes that I could throw together with baby in one hand and fork in the other. This recipe was born. I always threw in whatever leftovers were in my fridge with any kind of cheese I had on hand. It kept me satisfied for a good couple hours! These egg recipes look great! Love Huevos Rancheros!